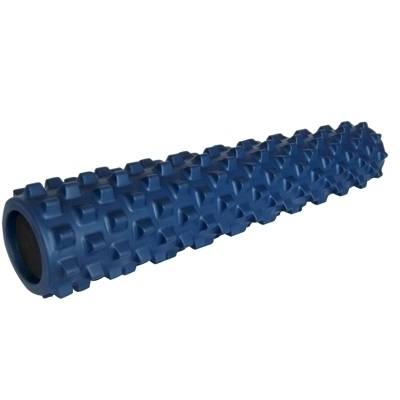 The RumbleRoller Foam Massage Roller is designed with flexible bumps that work like the thumbs of a massage therapist to deliver deep muscle penetration. The bumps knead the contours of your body, gently stretching soft tissue in multiple directions to erode trigger points, restore flexibility and bring relief to common types of muscular pain. Use simple techniques to control the amount of pressure applied to your body. The RumbleRoller is available in multiple sizes and firmness levels. FEATURES: Foam massage roller with flexible bumps for muscle penetration; Bumps knead body contours to stretching soft tissue (muscle and fascia); Erodes trigger points, restores flexibility and brings relief from muscle pain; Control the amount of pressure applied by adjusting your body position. Dimensions: 6" x 6" x 31"